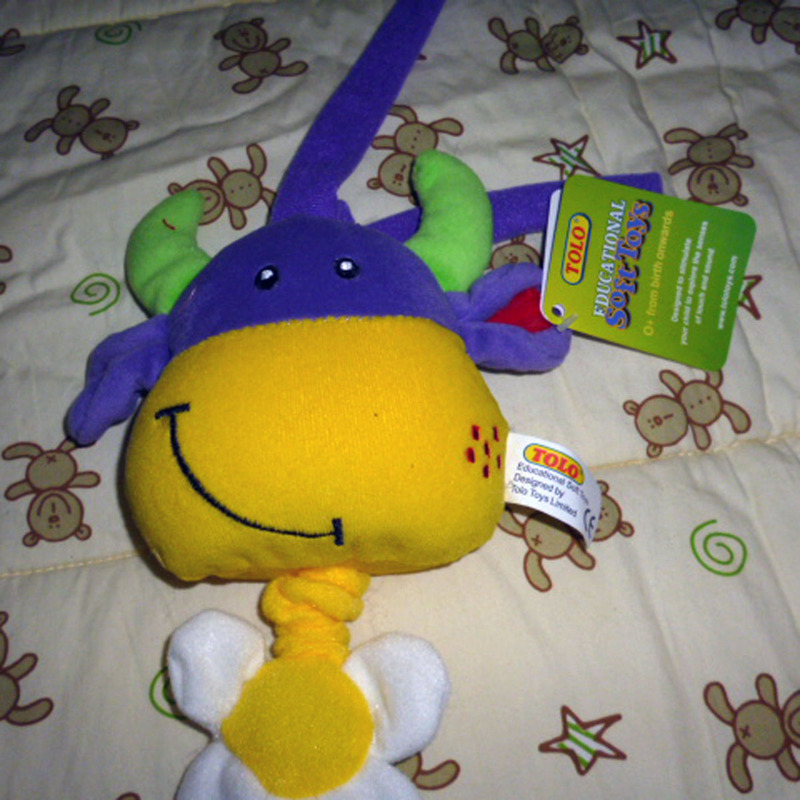 With 3 detachable soft toys and a removable arch, perfect for entertaining your baby. 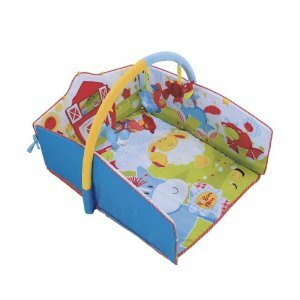 The Blossom Farm 2 in 1 Baby Gym is a delightful cushioned play centre for your new baby. It's two in one – first, a baby gym with soft-toy mobile arch, and second, a large playmat. It's also great for using inside your baby's cot, so they can explore as they rest. The three detachable soft toys – Clover the cow, Cloppy the pony, and two bright fabric flowers – jingle, crinkle, squeak, rattle and include a baby-safe mirror, providing plenty of interest for your newborn. 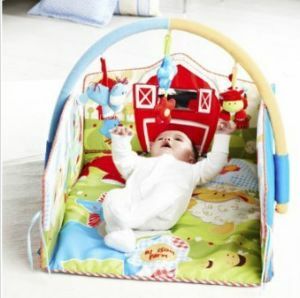 The Blossom Farm 2 in 1 Baby Gym is a lovely, cosy place for your baby to relax – lying, sitting, kicking and stretching. The different colours, textures and sounds of the 3 detachable toys will keep your baby entertained and encourage them to discover their hands and senses. As your baby grows, the mat is great for tummy time play and gives them the space to roll over and discover what's around them. We love the Blossom Farm 2 in 1 Baby Gym because it's so versatile to have around the home when you're getting to know your new baby. 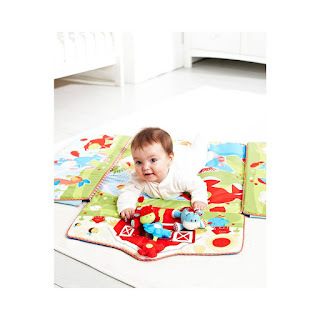 As a padded playmat, it instantly creates a soft area that lets your baby explore comfortably. As a baby gym, it gives your child a snug, fun space that's great for both playing and napping. And as the lining for a cot it makes bedtime magical. 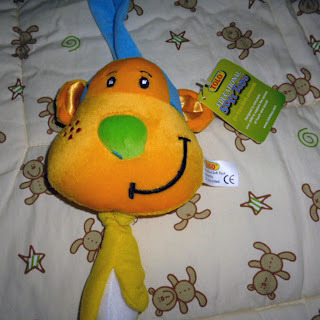 Designed to stimulate your baby to explore the senses of touch and sound.. 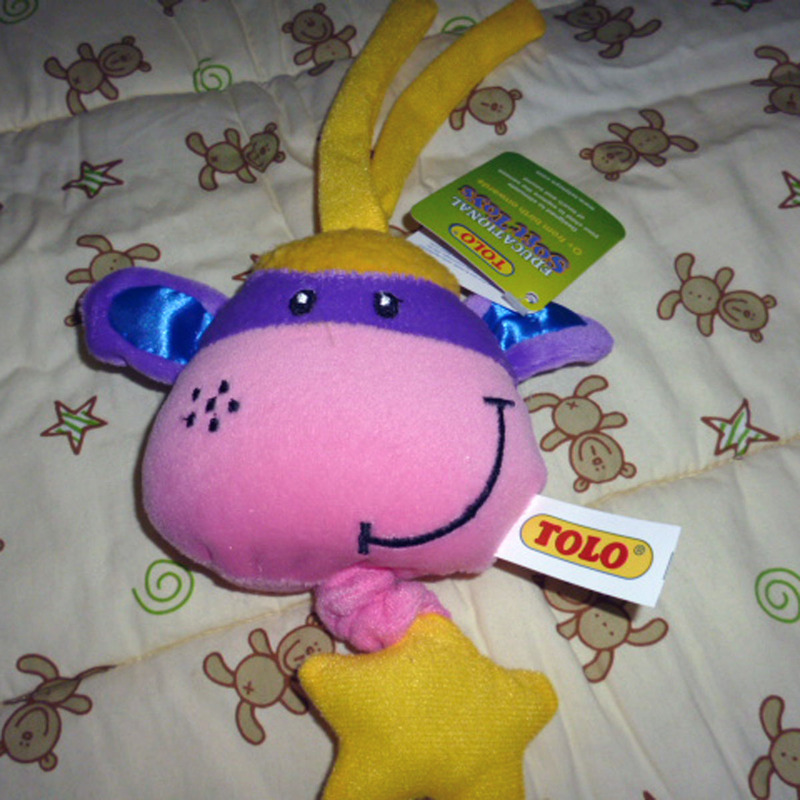 The different textures and colors help your baby to develop hand eye co-ordination. 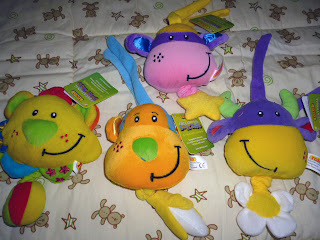 Encourage your baby to develop increased control over hands and finger movements. This Fisher-Price "Luv u Zoo" diaper bag will put a smile on baby's face. 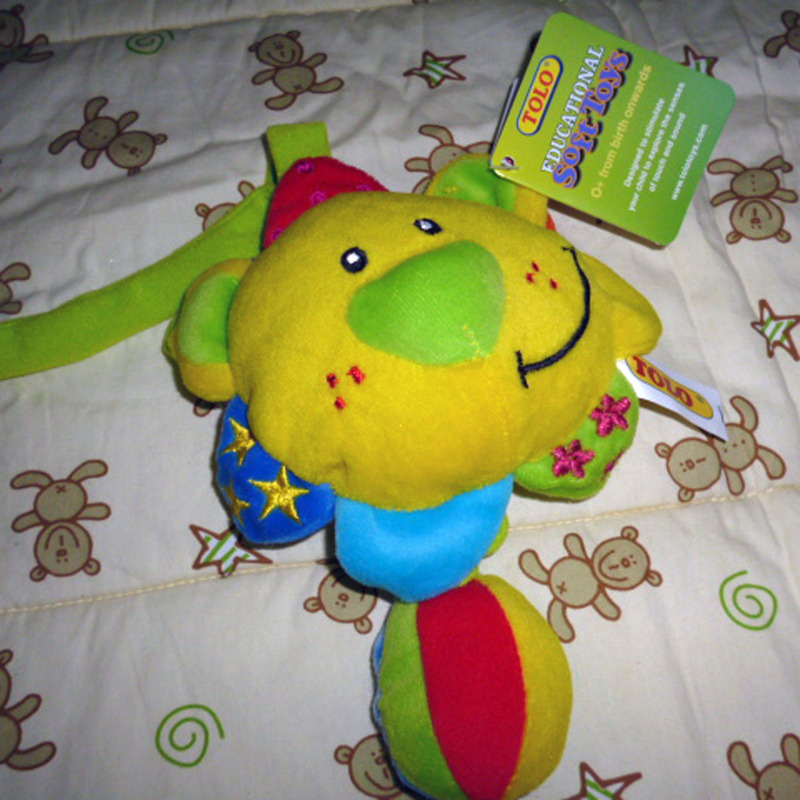 It features a brightly colored applique scene with monkeys and butterflies, and teaches the letters "B" and "C" for some learning fun. 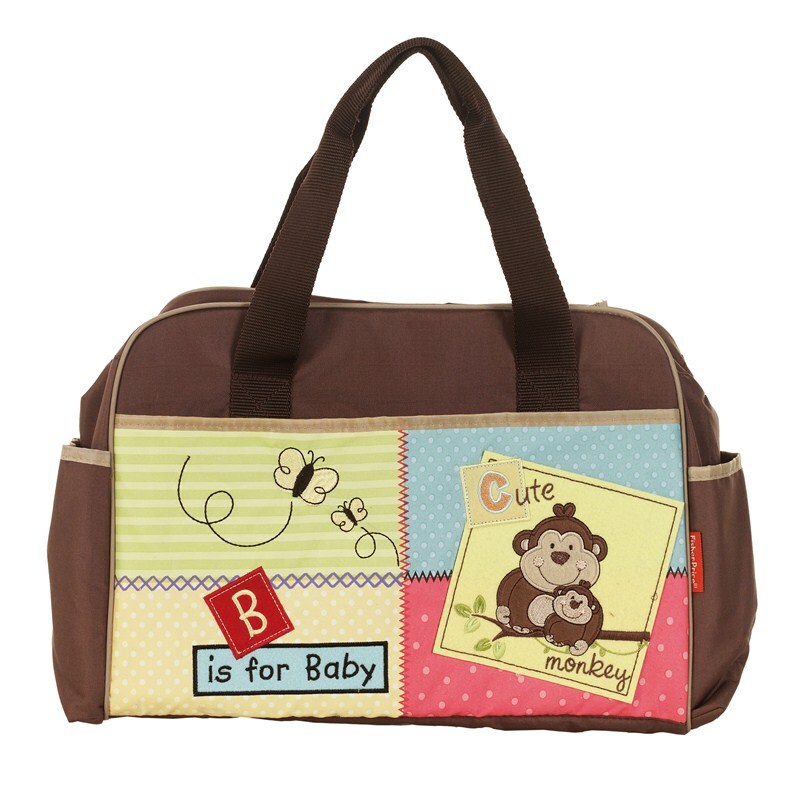 Bag has plenty of storage space for feeding and changing essentials. Very helpful while traveling. This bag will keep you fully prepared for any kind of outing.